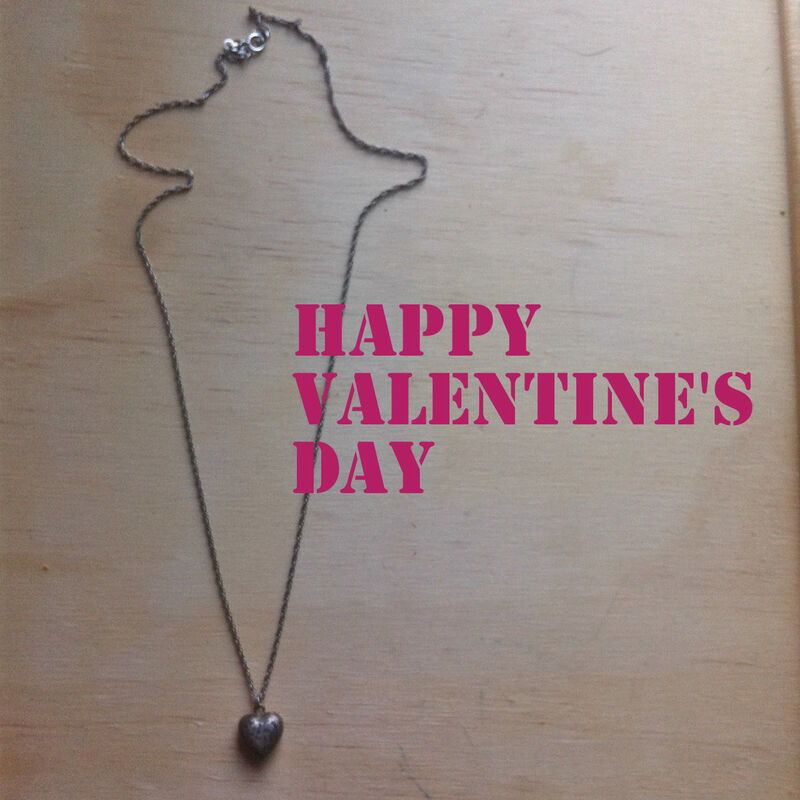 Here’s wishing you much love for reading my jewellery obsessed blog. This is the last of the treasures from the bag of broken jewellery I got at the Value Village last Friday. It’s an etched sterling silver puffy heart charm. I got an almost identical one for being a flower girl at my Aunt Bonnie’s wedding in the 1970s. I’ve hung it from a chain that I fixed using parts from a scrap necklace in the same sack. happy valentine’s to you. i love your blog- obsessive it is not!